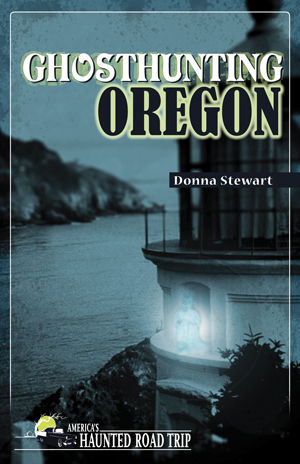 Donna Stewart, author of Ghosthunting Oregon, tells the story of Lone Fir Pioneer Cemetery. Lone Fir Pioneer Cemetery sits between Stark Street to the north and Morrison Street to the south. It is the oldest cemetery in the Portland area and the largest one managed by regional government. It covers more than 30 acres and is home to more than 25,000 gravesites. As a result of negligent maintenance and record keeping over the years, those buried within 10,000 of the sites are unknown. Oftentimes no one documented the paupers when they were interred. If there was ever a cemetery that was ripe for hauntings, it would be Lone Fir. 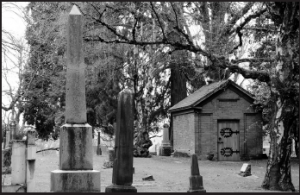 It has unmarked graves of insane asylum patients, a notorious murderess, graves lost in the shuffle of combining other cemeteries with Lone Fir, and possibly even graves that have not yet been discovered. The first official burial at Lone Fir was in 1846, when Emmon Stephens was buried on a plot of land that once belonged to his neighbor, a gentleman by the name of Seldon Murray. A decade later, Murray sold Stephens’s gravesite and the adjacent 10 acres to Colburn Barrell with the stipulation that his friend’s grave be tended to. Barrell agreed and kept his word. Not long after this transfer of property, the cemetery was born. Barrell owned a steamboat on the Willamette River called the Gazelle. In 1856 the Gazelle exploded near Oregon City and killed Barrell’s business partner, Crawford Dobbins, as well as a passenger. The 10 acres that were purchased from Seldon Murray would now be known as Mount Crawford Cemetery, after Barrell’s deceased business partner, who was interred there along with the passenger. By 1866, Barrell added 20 acres to the cemetery and sold burial plots for $10 each. Later that same year, Barrell realized that the upkeep of a cemetery was more work than he could handle, and he offered to sell Mount Crawford to the city of Portland, which quickly declined. So Barrell sold the cemetery to a group of private investors for a tidy sum of money instead. Those investors immediately renamed the cemetery Lone Fir in honor of the single, lone fir tree that stood at the location. But the investors had no practical idea of how to maintain a cemetery. Lone Fir fell into a sad state of disrepair. By the late 1920s, the gravesites, thousands of them unknown, were hidden beneath prickly mounds of blackberry vines and other invasive species. A few stone markers were still there, but the majority of the wooden markers had succumbed to rot or one of the many fires that swept through the area. 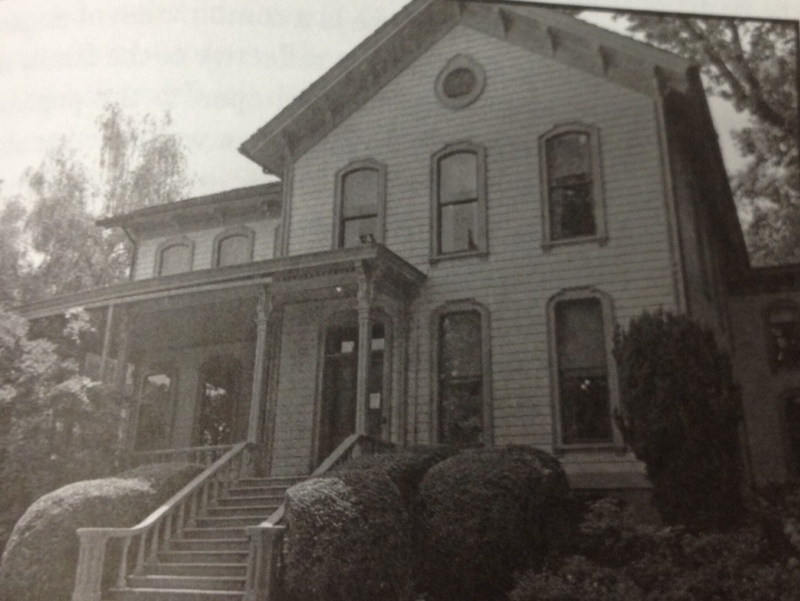 In 1928, Multnomah County took over control and maintenance of Lone Fir and, in 1947, paved over a large part of the cemetery and built an office on the site. Sadly, the portion paved over was the burial site for many Chinese immigrants; these remains were removed the following year and are said to have been sent back to China. In 2004 more graves were discovered beneath the office site. It was not until 2007 that the office building was removed and more Chinese immigrant remains were found. That same year Lone Fir was added to the National Register of Historic Places. Today the cemetery is in the capable and caring hands of Friends of Lone Fir Cemetery, which has brought new interest and vitality to it and removed the stigma often associated with such places. This organization has made Lone Fir a fun learning experience for visitors of all ages with tours, concerts to raise funds for headstones that have been vandalized, plays, scavenger hunts, and even Scrabble tournaments. 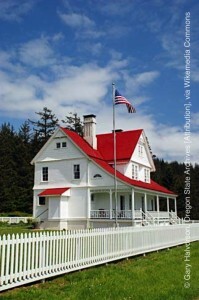 It also runs a family-friendly Halloween event called Graveyard Goodies that it describes as a “trick-or-treating party featuring some of Lone Fir Cemetery’s most prominent ghosts.” The ghosts are actors, and visitors of all ages converse with the prominent residents, doctors, and laborers whose names have been lost or were never known. There is no need to go door-to-door for candy because the “ghosts” hand it out—and they even give autographs. Anyone who knows a bit about the city’s sordid history will surely recognize a name or two at the cemetery—and even if they do not, chances are they will want to research a few after visiting Lone Fir. People from every walk of life—the famous, the insane, the freed slaves, the leaders in science—can be found at Lone Fir. A white obelisk honors Dr. James C. Hawthorne, who was in charge of an insane asylum in the 1800s. Dr. Hawthorne genuinely cared for his patients, even when their families had long forgotten about them. Many times a family would not bother to claim the body of the deceased, so Dr. Hawthorne buried more than 130 of his patients at Lone Fir at his own expense. It is not known exactly where the former patients are buried, but it is speculated that they were interred in what is called Block 14 in the southwest corner of the cemetery. Block 14 is also the site of unmarked graves of numerous Chinese railroad workers. Another notable resident of Lone Fir is Charity Lamb, who murdered her husband in 1854. Nathaniel Lamb sat at the dinner table as he usually did, entertaining his children with animated stories, when Charity quietly stepped up behind him and brought an ax down against the back of his head. Twice. Even more amazing is that Nathaniel lived for two weeks before he gave up the ghost and succumbed to the ax wounds. Charity Lamb was the first woman to be convicted of murder in the Oregon Territory. She did not receive the death penalty but was instead sentenced to a lifetime of hard labor at the Oregon State Penitentiary in 1854. A decade later, she was transferred to Dr. Hawthorne’s insane asylum, where she died in 1879. And so she ended up near Dr. Hawthorne in life and in death. Not much is known about Michael Mitchell, a dancer in Portland who froze to death on the steps of his boardinghouse. Some say he was intoxicated and not allowed inside while under the influence. But what a shock it must have been for other boarders to emerge from the house the next morning to find him frozen and stiff on the front stoop! Not long ago, a gentleman and his friend decided to check out Lone Fir after dark. 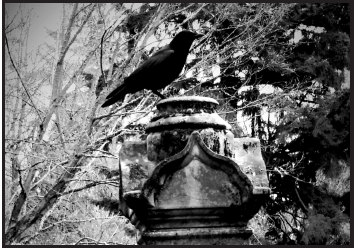 Walking along the roadside, the pair explored the cemetery, looking at names on the headstones, when one man looked up and saw a figure standing about 50 yards away from them. He called out to the figure but received no response. His first thought was that someone had seen them and was trying to frighten them. So they walked toward the figure, playing along with the spooky prank. As they approached, the figure seemed to jerk its head upward to the sky, just staring, and they realized that they might not be dealing with a joke after all. The figure was obscured by the trees, but as they cautiously moved closer, they could make out the face of an elderly man with a long beard, wearing a white shirt and black pants. They shouted hello, and in response, the man violently jerked his head toward them, opened his mouth, and screamed. The men say the figure’s eyes were blank as it continued to stare at them before letting go with another loud scream. After seeing the man’s weird eyes and hearing the second scream, the two of them left the cemetery in a hurry and have never been back. 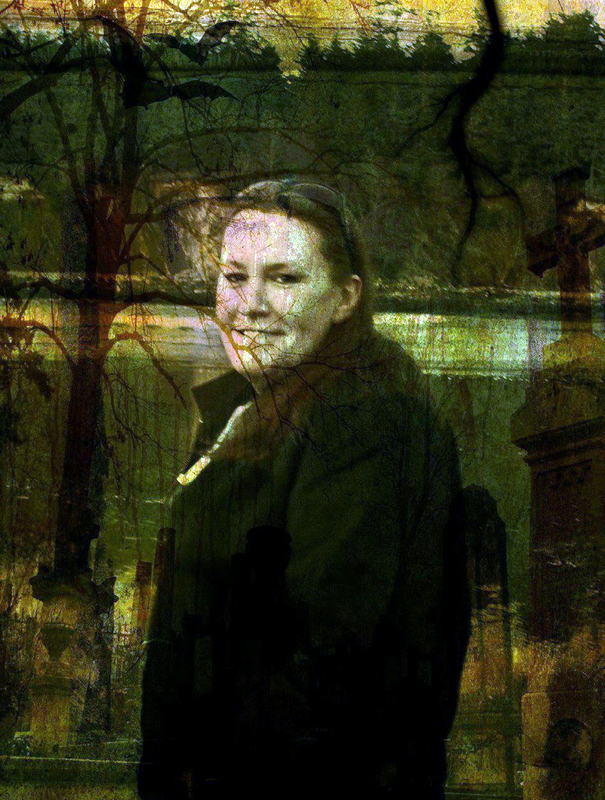 No one else I spoke with reported anything nearly so frightening, and most described seeing misty figures walking across the cemetery during the daytime as well as after dark. Visitors repeatedly see a younger woman in a red dress who seems to be happily strolling through the grounds, oblivious to anyone around her. My visit to Lone Fir was during the daytime and, due to rain, not as long as I would have liked. 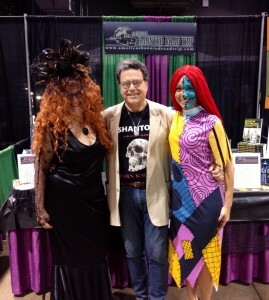 Unfortunately, I did not spot the woman in the red dress or the zombie-like specter that the men saw. Occasionally I felt as though I was being watched, but not to the point that it caused me any concern or fear. 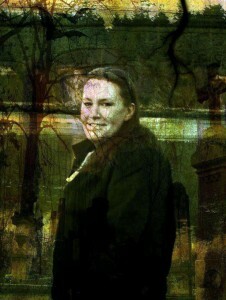 After all, I was a guest in the home of those who are buried there, and I expected to be watched. Lone Fir Pioneer Cemetery is beautiful, even in the rain. The stately obelisks and headstones with photographs are almost breathtaking. You can feel a connection with some who are interred there because many headstones contain more information than any I have ever seen. One in particular that I was fascinated with was the headstone for James B. and Elizabeth Stephens, who were early pioneers in the area. James B. Stephens’s father was Emmon Stephens, the first man buried on the property. Theirs is not your normal headstone. The images of Mr. and Mrs. Stephens are carved into the headstone in a realistic style. On the back of the marker is a stone that, to me, was touching. “Here we lie by consent after 57 years, two months, two days sojourning on earth awaiting nature’s immutable laws to return us to the elements of which we were formed,” the inscription reads. You can’t pass up the Soldier’s Monument, which memorializes the Indian Wars, Mexican-American War, American Civil War, and Spanish-American War. It was constructed in 1903 with $3,500 in community donations and is a beautiful, stately memorial that stands strong and proud to this day. When people ask me if Lone Fir Pioneer Cemetery is haunted, I have to answer, “How could it not be?” With its tragedies and thousands of forgotten graves, lost ghosts likely wander the cemetery. 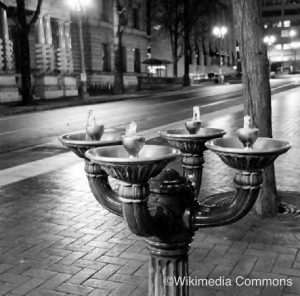 And whether visitors want to participate in an event or hope to catch a glimpse of a ghost, they will leave with a new knowledge of the people who were essential in making Portland the city it is today, so it is definitely worth a trip. When you find yourself in Portland, you can stop by and judge for yourself. Many historic homes-turned-museums are refurbished to at least some extent. Visitors of the Bush House Museum will find that this is not the case, they will see what the Bush family saw day-to-day in the late 1800s. After his wife died of tuberculosis, Asahel Bush II bought his partner’s share of their business and became horribly successful. Asahel innovated the Bush House, which he and his four young children moved into after the very accomplished architect Wilbur Boothby built it. The home is both Victorian and Italianate in style and reflects the independence and elegance of the family who lived there. The home had what was then “modern” conveniences like heating, hot and cold water, and indoor plumbing. These were quite the luxuries of the 1870s. The children, Asahel III, Estelle, and Sally made their father proud growing up and did well in their lives after college. Sally moved back home and managed the estate, Estelle married, and Asahel III went into banking. Eugenia was the only one of the four who was ill-fated. She developed a mental condition during her school years in Massachusetts and returned home. 1. Her father kept her in the basement, for he was embarrassed by his daughter’s mental condition. Besides the freedom to go outdoors, she was well cared for down there. There are no reports of abuse or poor conditions. 2. Her father shipped her away to a mental institution in Boston—where only the wealthiest were cared for. She received the best psychiatric and medical care available. She only returned home to the Bush House after her father’s death. While the Bush House is largely an area associated with good memories, pleasant parks, varieties of rare flowers and even houses the Salem Art Fair and Festival, there have been countless reports of the extraordinary presences over the years. “I did see a vase on a table in the living room slide about three inches across the table-top, and I heard it moving. I would have thought I was going a little crazy if my husband hadn’t seen it too!” said one woman. Others report that a shadowy figure of a man in a suit fidgets with a pocket watch. One woman even said to have looked up what the senior Bush looked like upon seeing that presence and knew instantly—that is who she saw. There have been reports of a young woman “crying and sobbing breathlessly.” Is this Eugenia? Perhaps, but more importantly is it the same woman who has been seen looking out a top-floor window in the evenings or floating through the rooms in a mist-like presence? Frequently, visitors have heard whispers, cries, and even spoken conversations coming from a room around the corner. These occurrences have been reported too often to deny signs of the paranormal. Now try your best to guess these interesting facts about the Bush House and Family! 1. There are __ bedrooms in the Bush house open to the public. 3. Asahel Bush II, a very successful and renowned inhabitant of the Bush House, did NOT have which occupation? Opened on July 17, 1926 the Hollywood has not changed much outwardly since 1926, but its heart has continued to advance with the times and, as the film industry changed, so did the technical capabilities of the theater. More changes came in the 1970s when the theater was divided into three separate auditoriums. 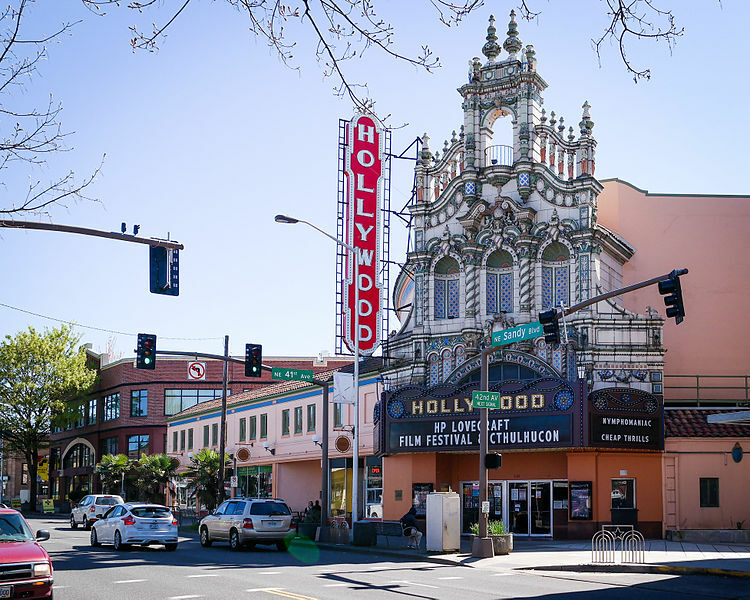 Despite the attention the Hollywood received when it was listed in the National Register of Historic Places in 1983, the theater became a victim to the newer and more modern theaters in Portland, and its business all but disappeared. But in the 21st century, the theater came back to life. It now not only shows movies but also focuses on independent and local filmmakers and educational programs. No one can accuse the Hollywood of not being able to adjust with the times, and because of that, its legacy lives on. And so do the ghosts that reside there. Walking into the theater for the first time was an almost dreamlike experience for me. 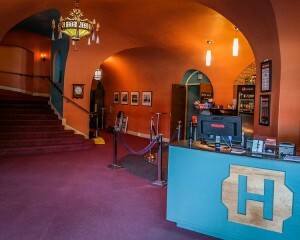 I am fascinated by history and architecture, so I found the best of both worlds in the lobby of the Hollywood. 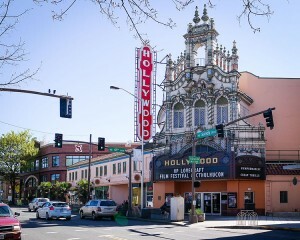 While parts of the theater have been updated with modern amenities, I could still envision vaudeville acts and silent movies and Model T Fords parked outside. The ghosts of the Hollywood have never been given obligatory names or identified as other than male and female, but the reports of their existence are many. 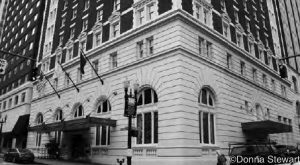 Past theater managers recall seeing a well-dressed, middle-aged man floating or hovering in the upstairs lobby. Some people have reported seeing a young, blonde female in high heels in the upstairs theater. She has also been seen nervously pacing the halls while smoking a cigarette. 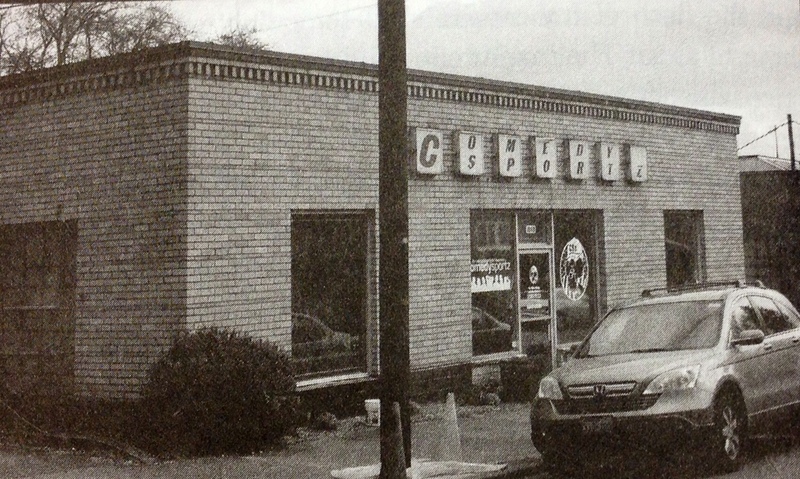 The sightings are brief but detailed, and each witness recalls a similar experience. People also report a feeling of uneasiness on the stairs leading to the upper theaters. A male ghost enjoys tapping people on the shoulder or back and whispering unintelligible words into their ears. Yet another ghost, a female, has been seen sitting quietly in the back row of the theater. While many are startled by a physical touch, most feel that it is done in jest. In all of the accounts that have been relayed to me, no one has felt threatened or fearful. A woman I spoke with after my visit that claimed to be a medium said that the nervously pacing female ghost waits eternally for her husband to pick her up from work, not knowing he had been killed in an automobile accident on the way to meet her. I do not have an opinion either way on mediums or psychics, and this explanation certainly seems plausible when I consider the reports and the repetitive actions of this particular ghost, but we will never know if this is indeed true. There does not seem to be any rhyme or reason to the floating man or the woman seen in the back rows. Perhaps they simply enjoyed their time at the Hollywood and thought it would be a nice place to retire after they expired. But turning from a conversation there, I caught a glimpse of a misty, transparent figure that passed before me and dissolved into the wall. It was not as detailed as many other reports, but I do not doubt what I saw with my own eyes. I replay it over and over in my mind in an attempt to come up with a rational, natural explanation, but am left without one. As the sun began to set, the mood of the theater seemed to change, and at one point I was actually eager to leave. Two people in my party heard a voice whisper “Hey, you!” and felt unexplained cold spots that had not been there before. It seemed as though when the darkness set in, people we were not able to see were arriving to watch their favorite movies. And perhaps that was the case, nothing more and nothing less. 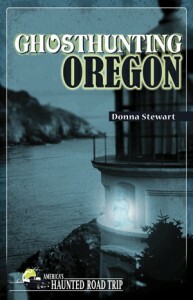 If you liked this excerpt from Donna Stewart’s book check out Ghosthunting Oregon for more spookiest haunts across the state. According to the ghost stories associated with Yaquina Bay Lighthouse, it is haunted by a seaman named Evan MacClure, who was the captain of the whaling ship Monkton. In 1874, a powerful storm is reported to have struck the area and swept the hapless vessel into the Devil’s Punchbowl, a large, natural bowl partially open to the Pacific Ocean that is carved into the rocky headland near the lighthouse. The ship wrecked. For more than a century, visitors, employees, and townsfolk have reported seeing an old captain standing at the base of the lighthouse and looking up, as though he were still trying to see the light that would guide him to safety. Those who have witnessed this say he appears as an older man and is as clear as any living person, until he suddenly vanishes before their eyes. Many residents say that MacClure continued to follow the light of the lighthouse and that his spirit occupied it, becoming a part of the beam and structure that led many a sailor to safe harbors. Also in 1874, a ship sailed into the Newport harbor carrying a man who called himself Trevenard and who had brought his teenaged daughter Zina—or Muriel, depending on the teller of the tale—to visit with friends after her mother had passed away. Trevenard spent a few days in the little town with his daughter and then left her in a small hotel to continue her visit. We can assume that in 1874 life was simpler and that teenagers were better behaved when left unattended than they are today. So it should not be too surprising that Zina/Muriel and her friends opted for a picnic lunch on the grass of Yaquina Bay Lighthouse. But teenagers being teenagers, they decided to investigate the interior of the lighthouse. According to the stories, they discovered a hidden room on the third floor and spent quite some time investigating it before leaving the lighthouse. When they once again reached the yard, Zina/Muriel realized she had left her handkerchief inside the building, so she left to retrieve it as her friends waited outside. After a few minutes, however, a scream pierced the air, and her friends hurried inside and followed a trail of blood drops that led them back to the third floor. As they looked for Zina/Muriel, they found only her bloodied handkerchief, and the unfortunate girl was never seen again—at least not alive. But there are those who claim her restless spirit still wanders the halls of Yaquina Bay Lighthouse, seeking a way out. 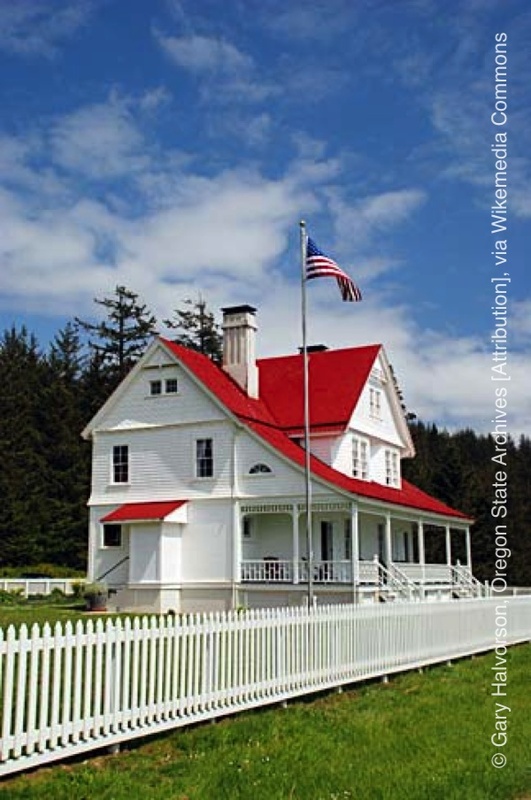 Even today, visitors to the Yaquina Bay lighthouse report eerie sensations and the feeling of being watched as they tour the building. Others have reported hearing whispering voices, both male and female, and seeing a flickering light on the second floor after dark. While most of the workers and volunteers in the lighthouse say they have not experienced any type of paranormal activity, there are those who have seen, heard, and felt an unseen presence. 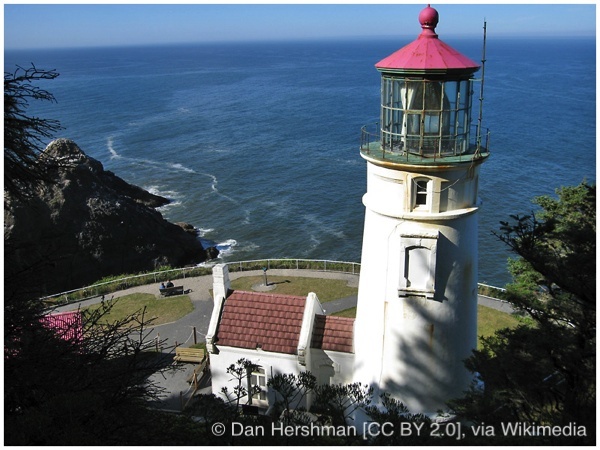 My experiences at Yaquina Bay Lighthouse were not definitive, and I came away neither believing nor disbelieving the legends. 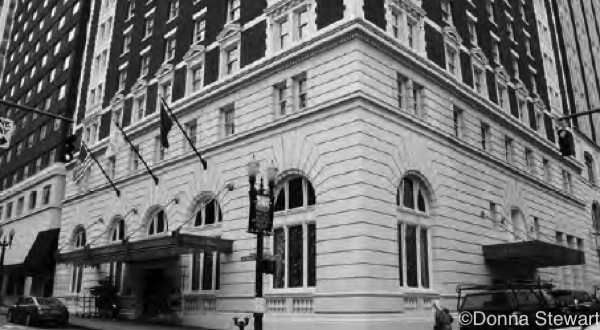 But I will return there to attempt to shed some light on the truth of the ghost stories that have been passed down from generation to generation. 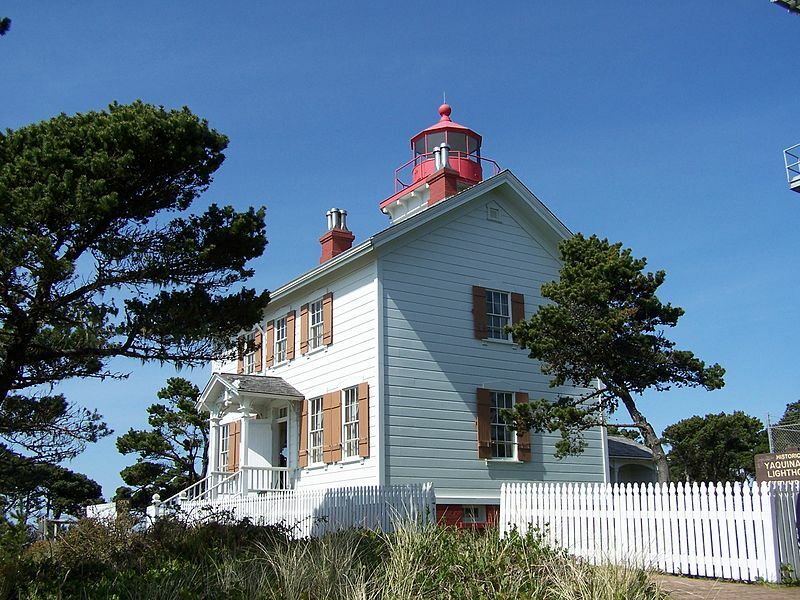 You may judge for yourself, however, any time you pass through Newport, Oregon, and decide to visit Yaquina Bay Lighthouse. Perhaps you will catch a glimpse of a young girl with a bloodstained handkerchief looking for a way out, or a sailor seeking the light. 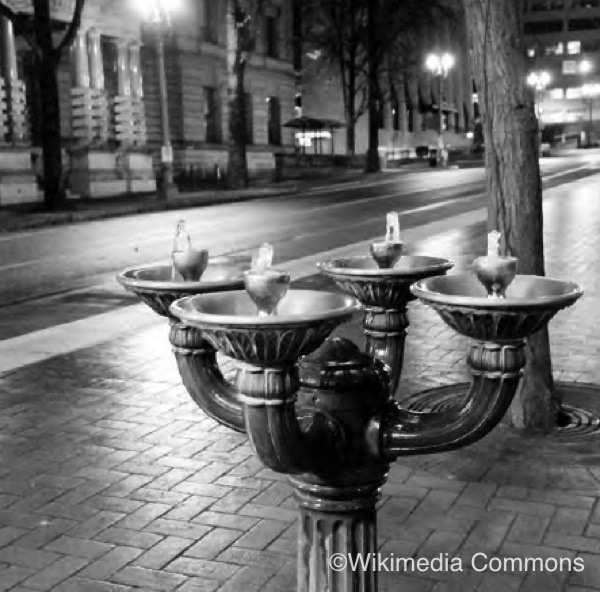 And even if you do not, you will be standing in a part of Oregon history. You can read the complete story of Yaquina Bay Lighthouse in Donna Stewart’s book Ghosthunting Oregon. 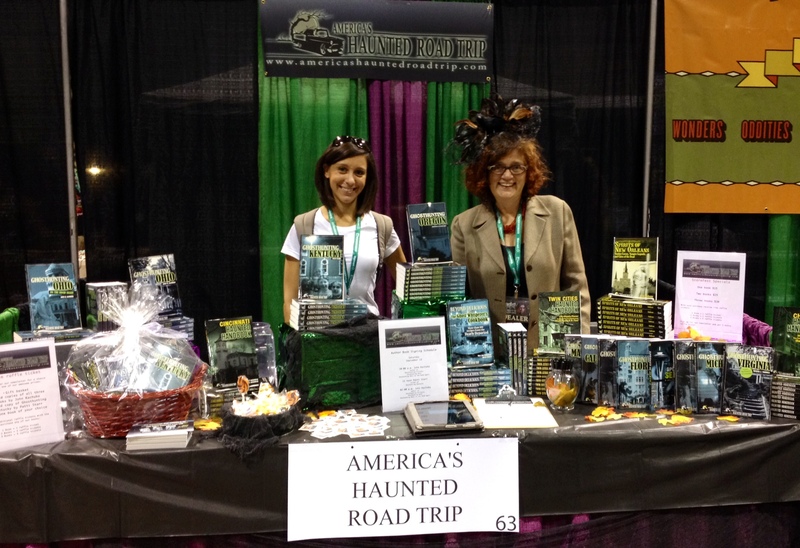 Americas Haunted Road Trip will soon be headed for Victory of Light Expo, Cincinnati’s premier body, mind and spirit event – and with Thanksgiving just around the corner we are celebrating with a GIVEAWAY for all our fans. Scroll down for easy entry information. Since its inception in 1992, Victory of Light, has established itself as one of the largest and longest-running metaphysical conventions for the general public in the country. 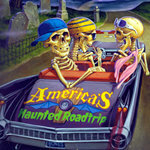 Americas Haunted Road Trip will be joining over 250 vendors. 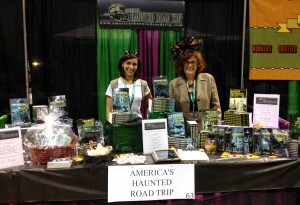 We will bring our entire collection of haunted road trip guide books including our latest addition Ghosthunting Oregon. 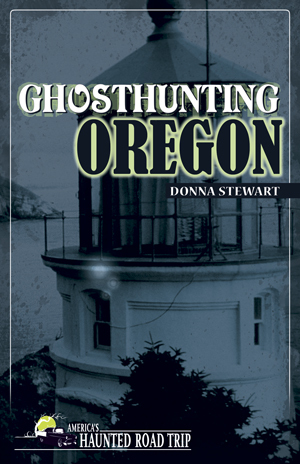 About Ghosthunting Oregon: Our latest book takes readers along a guided tour of some of the Beaver State’s most haunted historic locations. Author Donna Stewart invites you to accompany her as she explores each site, investigating eerie rooms and dark corners. About the author: Donna Stewart is a noted paranormal researcher, radio host, writer, and founder of the nonprofit Southern Oregon Project Hope. With a lifelong interest in the paranormal, she has devoted more than 30 years to research, mentoring new investigators, and confounding the highly regarded paranormal research team Paranormal Studies and Investigations (PSI) of Oregon. She also hosts the long-running BlogTalkRadio Show PSI-FI Radio. Come and visit us at booth # 622. Meet some of our authors, take advantage of incredible deals and enter our raffle for a chance to win one of our many awesome prices. John Kachuba Saturday 10:00 a.m. – 2:00 p.m.
Garett Merk Saturday 02:00 p.m. – 4:00 p.m.
Jeff Morris Saturday 02:00 p.m. – 4:00 p.m.
Garett Merk Sunday noon – 2:00 p.m.
Jeff Morris Sunday noon – 2:00 p.m. So join us November 22 & 23 at the Sharonville Convention Center for the 2014 Victory of Light Expo. 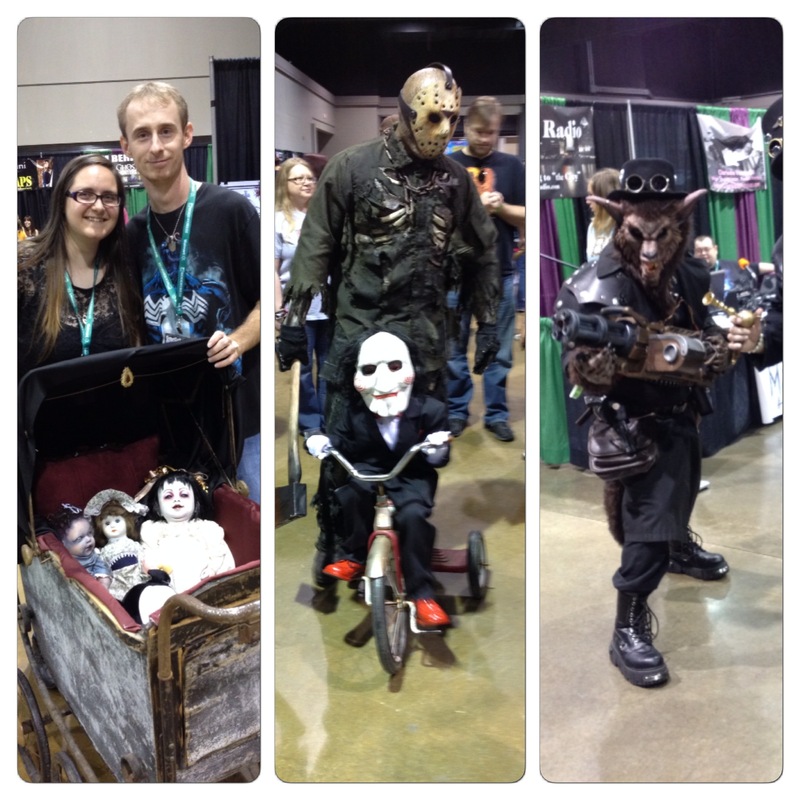 Victory of Light Expo is held Saturday November 22nd through Sunday November 23rd daily from 10:00 a.m. to 7:00 p.m. at the Sharonville Convention Center. For more information check out the Victory of Light Expo website.